Parag Arun Kulkarni is one of the world’s leading authorities on Business Strategy, Knowledge Innovation, Machine Learning, Systemic Learning and Building Innovative Knowledge Corporations in the knowledge economy. He is consultant on Innovation and Strategies for start-ups and SMEs and contributed to make many start-ups successful. He holds PhD from IIT Kharagpur, Management education from IIM Kolkata. UGSM Monarch Business School – Switzerland conferred higher doctorate - DSc on him for his contribution towards innovation and knowledge management. Recipient of Oriental foundations scholarship, he is also Fellow of IETE and The IET. Parag is Founder, Chief Scientist and CEO of the EKLaT Research: an innovation, strategy and business consulting and product development organization and Co-founder and Chief Scientist of Anomaly Solutions Pvt Ltd: a problem solving software and niche product development company. He has been visiting professor/researcher at technical and B-schools of repute including IIM, Masaryk University – Brno, COEP Pune. Parag headed various organizations and research labs and contributed to success of more one dozen organizations through his strategic and Business acumen and innovative product building. He is core contributor to more than dozen commercially successful products. He headed Research Labs at Siemens, IDeaS and many other organizations. One of the well-known Product Innovation and Business Innovation strategist, he is advisor to many industries and academic institutes. His core work include innovation and knowledge strategies for start-ups, knowledge strategies for organizations, building innovative products, breaking away from competitive landscape. 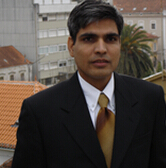 His work is on systemic innovation and learning is published with many reputed journals. His work on Systemic Machine Learning is published in the form of book published by IEEE Press/Wiley - “Reinforcement and Systemic Machine Learning for Decision Making”. He co-authored more than half a dozen strategy and innovation books including “IT Strategy”, “E-Business”, and “Deliverance from Success”. Parag has published numerous articles, 200+ research papers. He delivered numerous talks on strategy and managing start-ups, knowledge innovation and building systemically intelligent products and conducted 100+ management programs on Deliverance from Success and Knowledge Management.